With contributions by two Nobel Laureates, this careful selection of high-quality articles from the well proven Encyclopedia of Molecular Cell Biology and Molecular Medicine spans the whole range of topics in genomics and genetics. 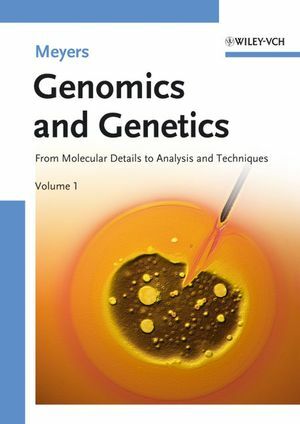 The first volume deals with molecular genetics, genomic organization and evolution, as well as genomes of model organisms, while the second goes on to treat genomic sequencing, genetic engineering and gene medicine and disease. Throughout, the chapters conform to a uniform structure, including a keyword glossary, a summary of the article in question and a list of literature references. 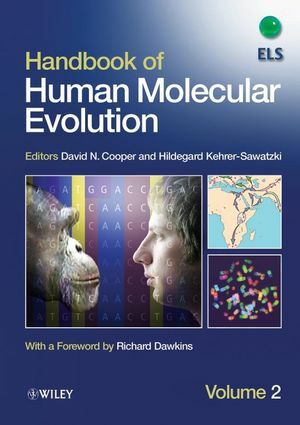 The result is a readily accessible reference for geneticists, molecular biologists, biochemists, biotechnologists, pharmacologists, and developmental biologists, as well as those working in the pharmaceutical industry. Robert A. Meyers obtained his Ph.D. in Chemistry at the University of California at Los Angeles. He was a post-doctoral fellow at the California Institute of Technology and has more than 17 patents, 50 technical papers and 12 books to his name. As Editor-in-Chief he conceived and edited several ambitious multivolume reference works, e.g. the Encyclopedia of Analytical Chemistry (Wiley), the preceding Encyclopedia of Molecular Biology and Molecular Medicine (VCH) and the Encyclopedia of Physical Science and Technology (Academic Press).